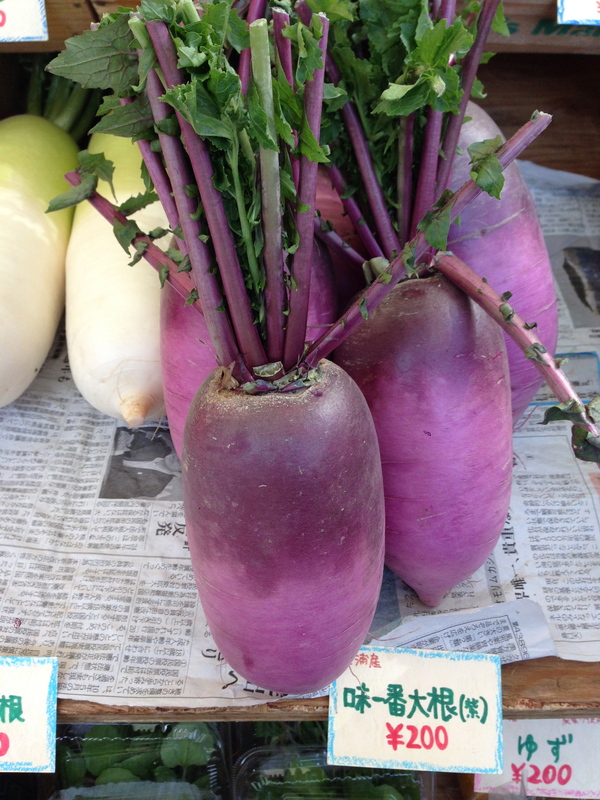 The organic markets in Tokyo are often selling superb vegetables to clients in search of the very best. Considering the prices it is hard to believe that farmers can survive in selling such perfect organic vegetables. 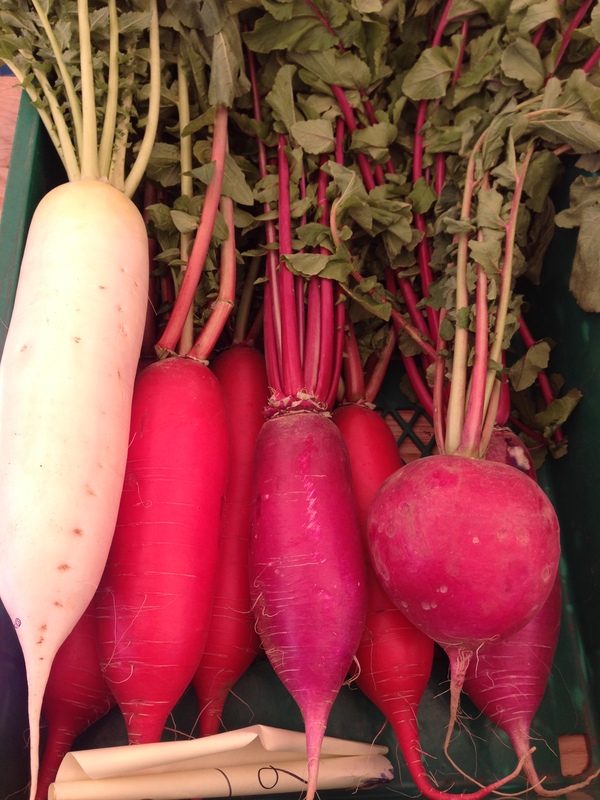 The radishes are named Daikon and they come in all colors and forms. The selling prices are as little as a few dollars but you won’t be disappointed. 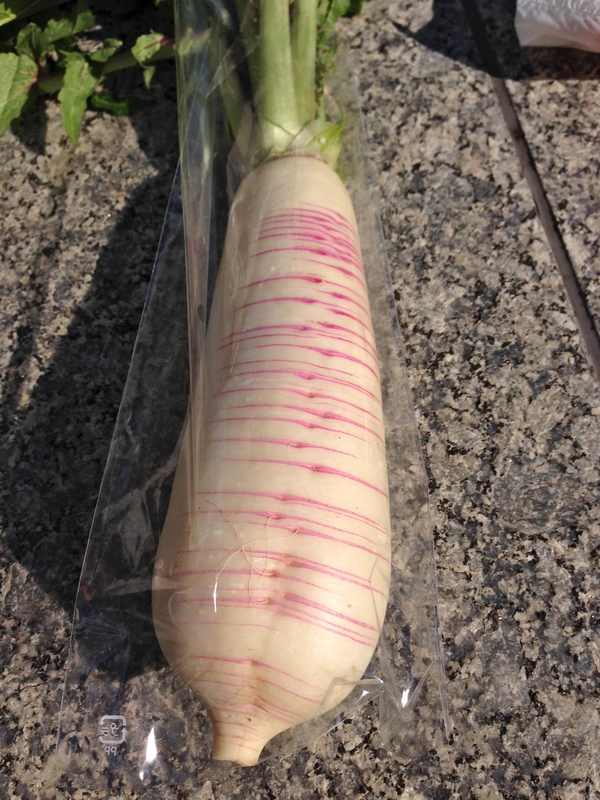 The most common in Japan are the Aokubi-Daikon, has the shape of a giant carrot, approximately 30 cm long and as much as 10 cm in diameter. 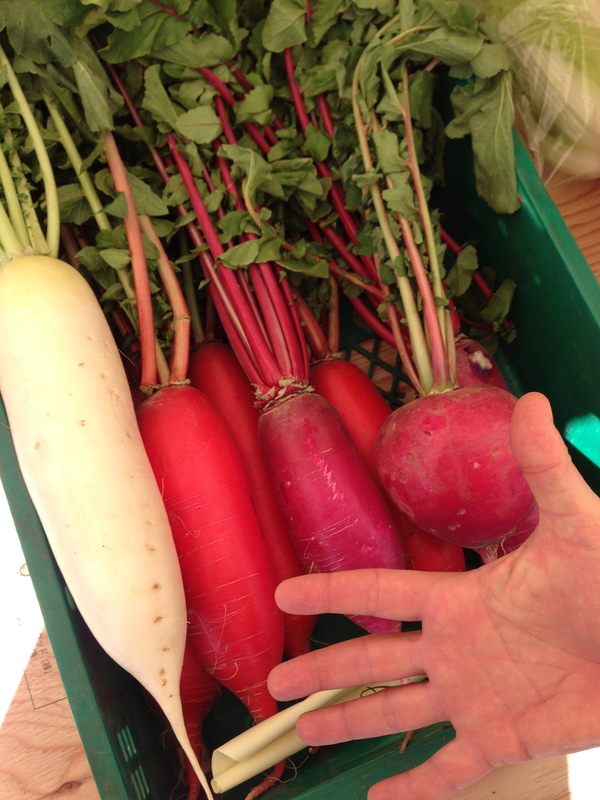 The larger Daikon are often milder in flavor compared to smaller radishes.